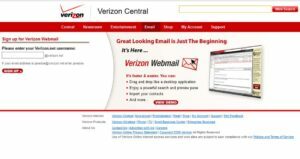 Having Verizon email problems, check out the status of Verizon.net which provides webmail interface to customers. If the mail service not working and shows some errors or any other issue you should first try to reload the inbox then you should check status of Verizon email from here. 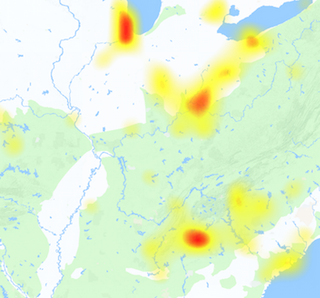 The customers of Verizon email annoyed when the got the service completely down and shows problem and errors when they use it. There are also guides available which helps customers to troubleshoot with the problems which occur with Verizon web-based email service. FiOS internet customer service centers helps users to fix issues like unable to send or receive emails, the mails are not visible in webmail interface, unable to login, error while accessing email and some other issues. But an error which arises some times and is also reported by customers here, ‘We’re sorry, but we are experiencing an email system issue.’ If you got this error today you must report it here so that every one using the service can be aware of it. @VZWSupport I'm working with Verizon & they're telling me they're having a problem with Mac mail programs. So problem not resolved yet. @TMobile first i get a letter in the mail saying my identity is at risk because you got hacked..now your data is down @verizon what you got? @VZWSupport It appears both lines were set to forward to voice mail (by Verizon) at new phone activation. *73 fixed the problem. Either @verizon is already moving @YahooMail to @AOL, or @YahooMail is down. No personal e-mail all day.